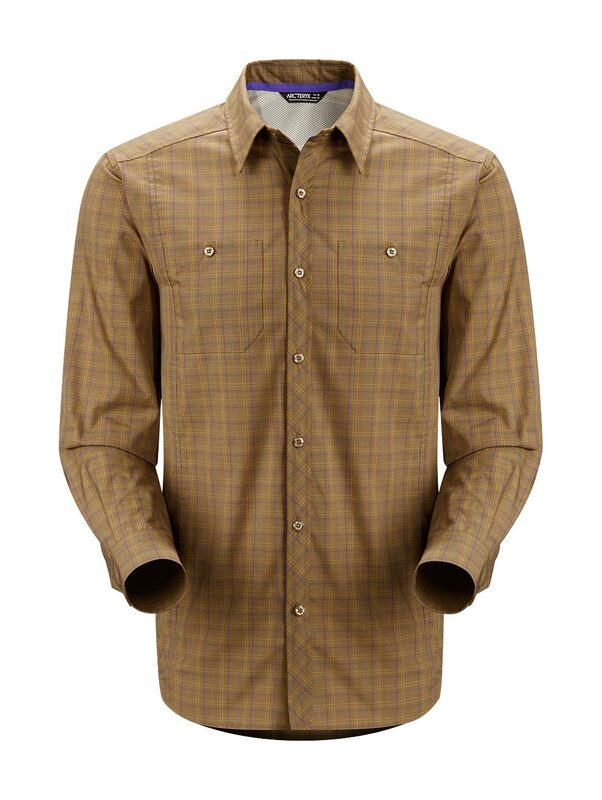 Arcteryx Nubian Brown Borderline Shirt LS - New | Arc'teryx Men Online Sale! Hiking / Trekking / Casual/Urban Developed for the rigours of international travel, this new long sleeved shirt is made of a breathable cotton/Sorona blend that dries quickly and has a soft hand. The mesh-lined rear yoke increases airflow and adds comfort in hot weather. Two chest pockets with button closures Verdi ��Cotton/Sorona blend (Sorona ��a fibre derived from natural corn) Machine wash in cold water or dry clean.